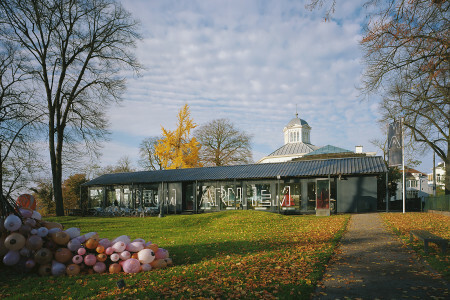 The sculpture garden of Museum Arnhem exhibits contemporary sculptures. The museum is located right next to the Rhine and the garden gives a wonderful view over the river, seen from the push moraine. The garden consists out of 20 works of internationally renowned artists such as Henry Moore and Jenny Holzer.